Peruvians struggled on Sunday (Mar 19) to cope with avalanches, mudslides and extensive flash flooding caused by torrential downpours, and forecasters predicted still more rain ahead, prolonging the country's woes. It has been a bad year for flooding in Peru, and the toll including from the latest dangerous weather now stands at 75 since January, the government said. Devastating damage reports continue to pour in. The National Emergency Operations Center said 99,475 Peruvians had lost everything since the beginning of the year, while 626,928 had suffered serious damage to their homes. The government predicted days of more rain ahead. On Saturday, flood waters swept into the center of Trujillo, the country's third-largest city, filling its streets and forcing residents braving the waters to cling to each other to avoid being swept away. 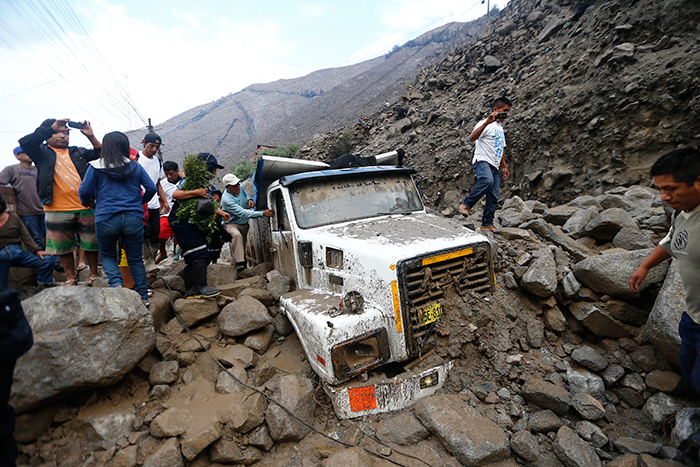 The "huaycos," as Peruvians call the powerful avalanches of mud and stone that pour down from steep Andean hillsides after heavy rain, continued their damaging ways. Mountains of mud filled city streets, sweeping away everything in their paths: houses, furniture and sometimes people. Air travel has been affected as well. 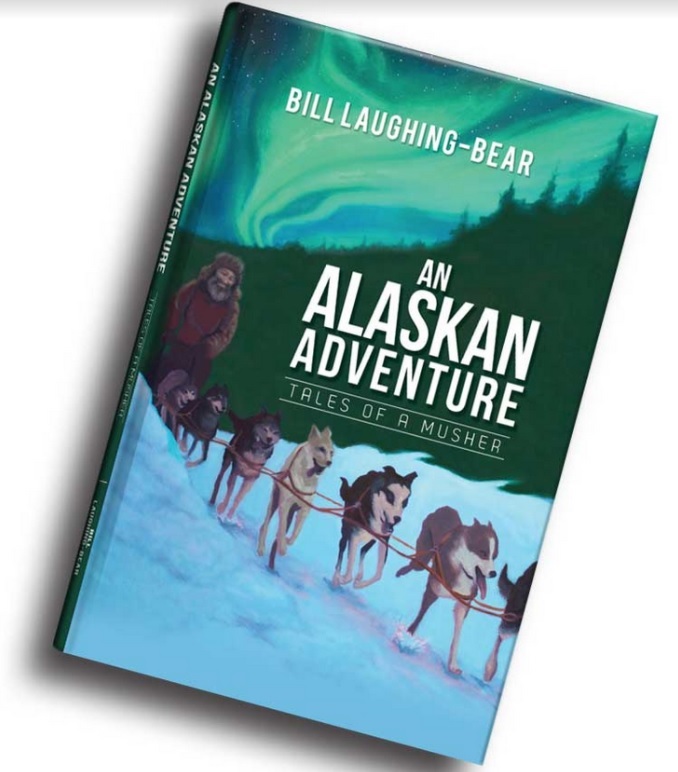 "I've been stranded in Trujillo for five days. My family lives in a part of Lima affected by the huaycos, but I haven't been able to get through to them," a would-be passenger, Ernesto Alvarez, told RPP radio. "Some 500 of us are stranded here, unable to travel. We just hope there isn't another (huayco.)" The rains affected the northern area as well. 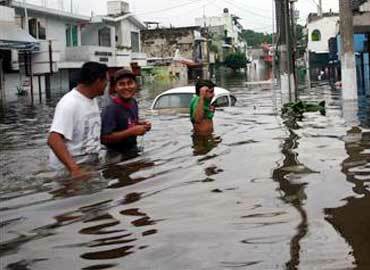 In the city of Piura, streets were again flooded by the effects of El Nino. The periodic warming of Pacific Ocean waters charges clouds with tremendous loads of water, which then falls on coastal areas, sparking avalanches from steep hillsides and causing rivers to overflow. "There will be heavy rains in northern regions and in central Lima over the coming days, so the alert situation remains in place," Zavala said on Saturday. Humanitarian aid, from the government and individuals, was being sent by plane or ship to affected areas. "We must help each other in solidarity with those who are victims," said President Pedro Pablo Kuczynski. Parts of the city of Huarmey, 300 kilometres north of Lima, remained under as much as a metre of water. Television showed people using boats to move through city streets to retrieve belongings. The city's mayor, Miguel Sotelo, interrupted a presidential news conference Friday to demand help. "My village is inundated," he said. "Three days and we're still underwater. There is no light or food in my village." He urged the president to provide heavy equipment to help divert the course of the river that has been flooding Huarmey. The government said it was working to repair three bridges in Huarmey and nearby Casma. 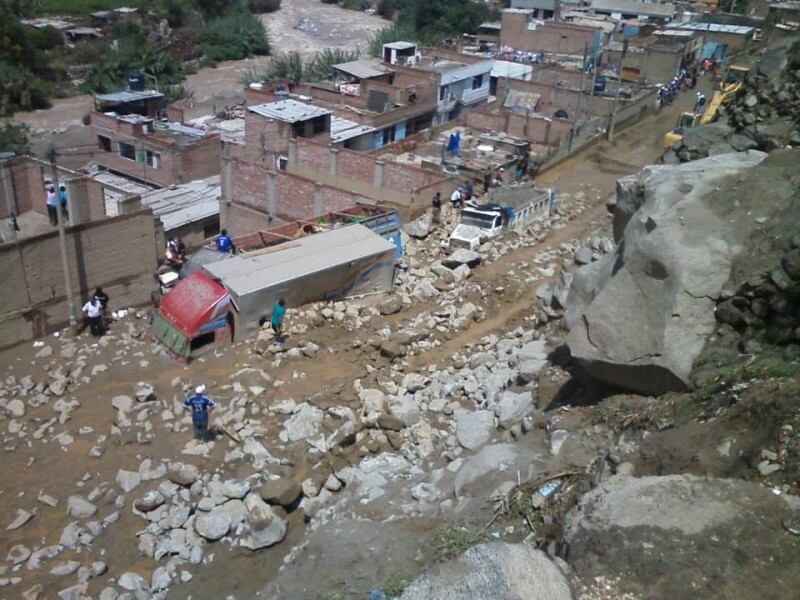 Storm-caused erosion also provoked the collapse late Saturday of the Viru bridge between Trujillo and Lima. "This is the road that links the north of Peru to Lima," said Viru Mayor Ney Gamez. "This is a cry for help." The government said road travel to the north would be restored within 24 hours. After flooding hit Lima, hundreds of residents of the Chosica neighborhood spent Saturday night in tents set up in sports fields or on school grounds near their homes - or what had been their homes. A red alert warning of new "huaycos" was lifted overnight, and drinking-water service has gradually been restored. Citizens had been forced to trek to the fountains of the capital's Plaza Mayor for potable water. But the threat remained that the Rimac river might again overflow. 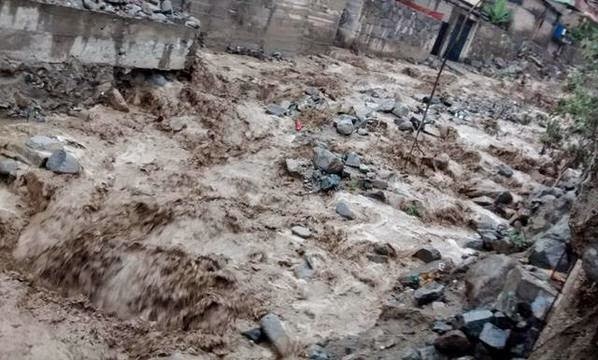 Its fury unabated, the Rimac has continued to flood roads, destroy bridges and threaten houses along its banks as Peruvians pray for an end to the rains - and a chance to begin rebuilding. An Ipsos poll released Sunday by the newspaper El Comercio said the president's approval rating has fallen from 38 per cent in February to 32 per cent now because of the government's handling of the successive flooding crises.